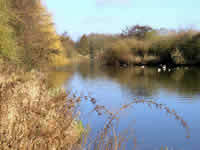 The mill lakes are an area of outstanding beauty and provide a variety of wildlife habitats. 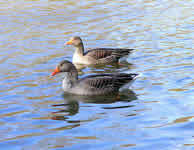 The lakes have a regular resident bird flock but are also visited by migrant species so it is not unusual to see various waders or overflying raptors as well as more exotic species of duck. There is no parking available for the lakes but they are within easy walking distance of the Bestwood Village car park for the Country Park. The lakes area is regularly used by walkers, cyclists, birdwatchers and dog walkers and is an ideal place to bring the family. 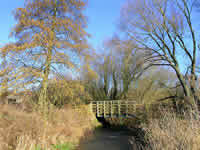 It is possible to walk to Hucknall from the lakes or into the country park via a footbridge thereby avoiding the roads. For a map of the Mill Lakes click here. 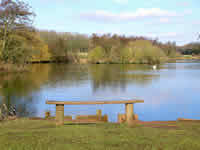 Below are a few shots of the Mill Lakes but there are more in the gallery.